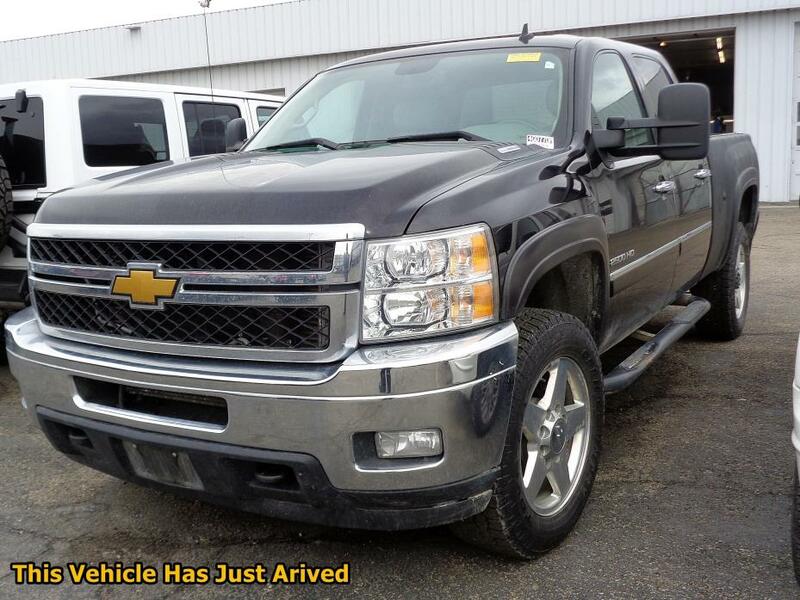 Silverado 2500HD LT, LT, This vehicle won't be on the lot long! 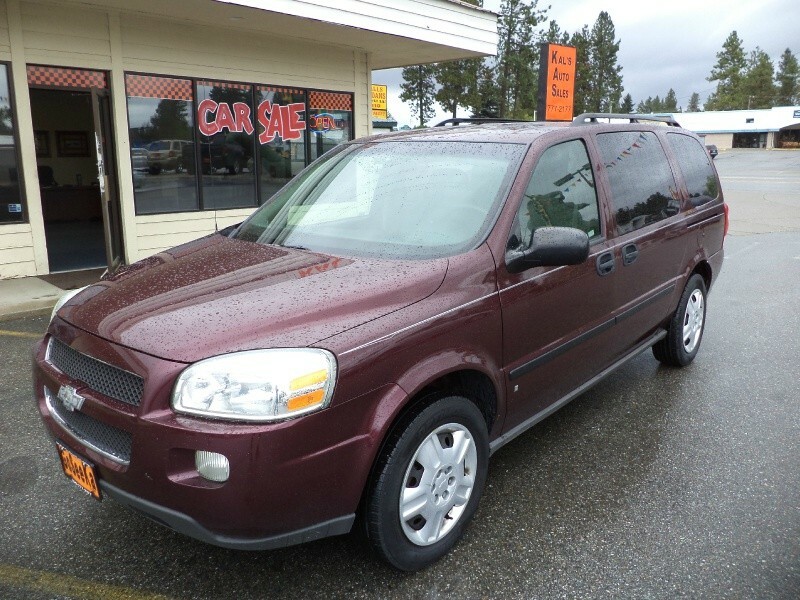 This vehicle invigorates its segment with sporty proportions, generous equipment and exceptional safety! 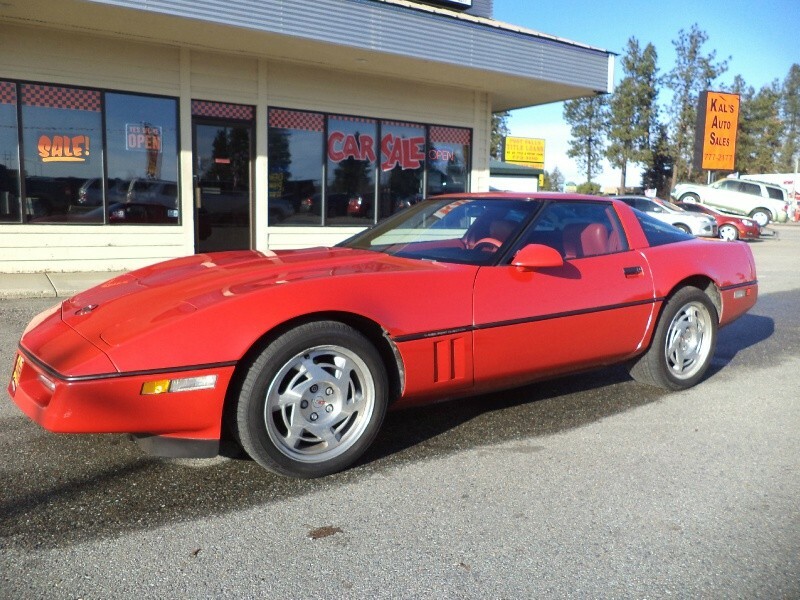 Chevrolet prioritized practicality, efficiency, and style by including: variably intermittent wipers, skid plates, and remote keyless entry. Smooth gearshifts are achieved thanks to the powerful 8 cylinder engine, and for added security, dynamic Stability Control supplements the drivetrain. Four wheel drive allows you to go places you've only imagined. We have a skilled and knowledgeable sales staff with many years of experience satisfying our customers needs. They'll work with you to find the right vehicle at a price you can afford. 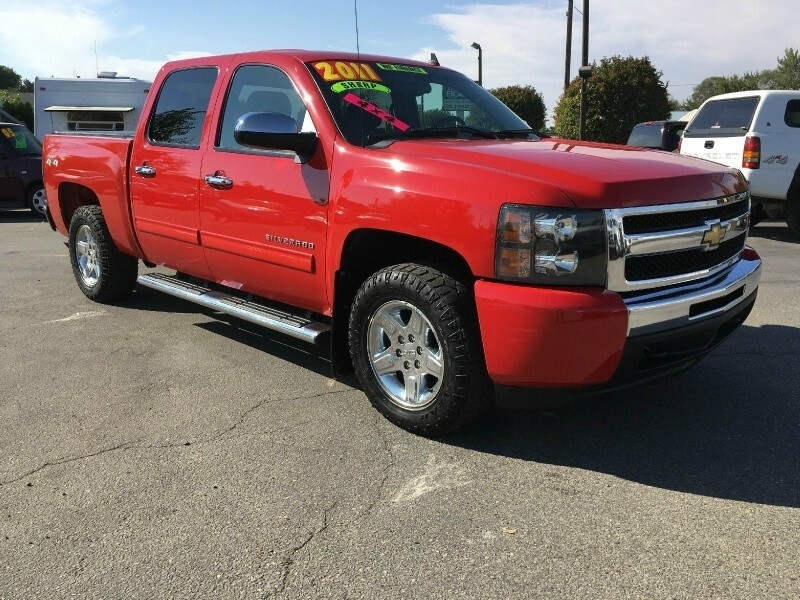 Stop in and take a test drive!, Off-Road Z71 Package,GVWR: 9,500 lbs,Engine: Vortec 6.0L VVT V8 SFI FlexFuel,Manual Tilt-Wheel/Telescoping Steering Column,Hill Descent Control,Frame-Mounted Underbody Shield,Remote Vehicle Starter System,10-Way Power Driver Seat Adjuster,4' Round Chromed Assist Steps,LED Cargo Box Lighting,110-Volt AC Power Outlet,Tires: LT265/70R17E AT BW,Trailering Equipment,All Star Edition,Front 40/20/40 Reclining Split-Bench Seat,Camper and 5th Wheel Trailer Wiring Provisions,Auto Dimming Inside Rearview Mirror,Spare LT265/70R17E AT BW Tire,Transmission: Electronic HD 6-Speed Automatic w/OD,Dual-Zone Automatic Climate Control,CT/DE/ME/MD/MA/NJ/NY/OR/PA/RI/VT/WA Emission Reqs,Integrated Trailer Brake Controller,Unauthorized Entry Theft-Deterrent System,Front Halogen Fog Lamps,Black Power-Adjustable Heated Outside Mirrors,Electric Rear-Window Defogger This vehicle won't be on the lot long! 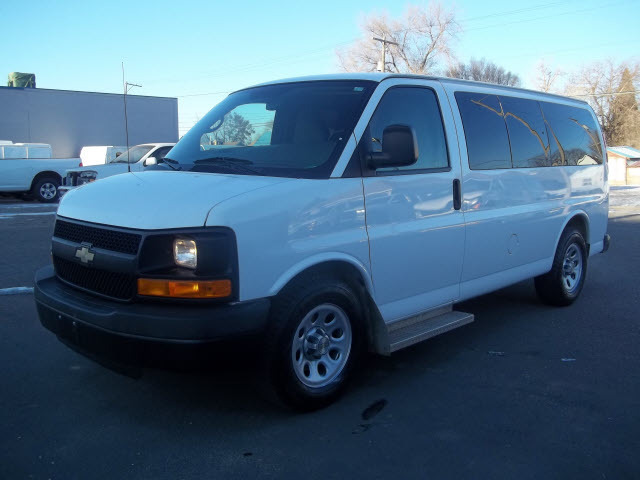 This vehicle invigorates its segment with sporty proportions, generous equipment and exceptional safety! Chevrolet prioritized practicality, efficiency, and style by including: variably intermittent wipers, skid plates, and remote keyless entry. Smooth gearshifts are achieved thanks to the powerful 8 cylinder engine, and for added security, dynamic Stability Control supplements the drivetrain. Four wheel drive allows you to go places you've only imagined. We have a skilled and knowledgeable sales staff with many years of experience satisfying our customers needs. They'll work with you to find the right vehicle at a price you can afford. 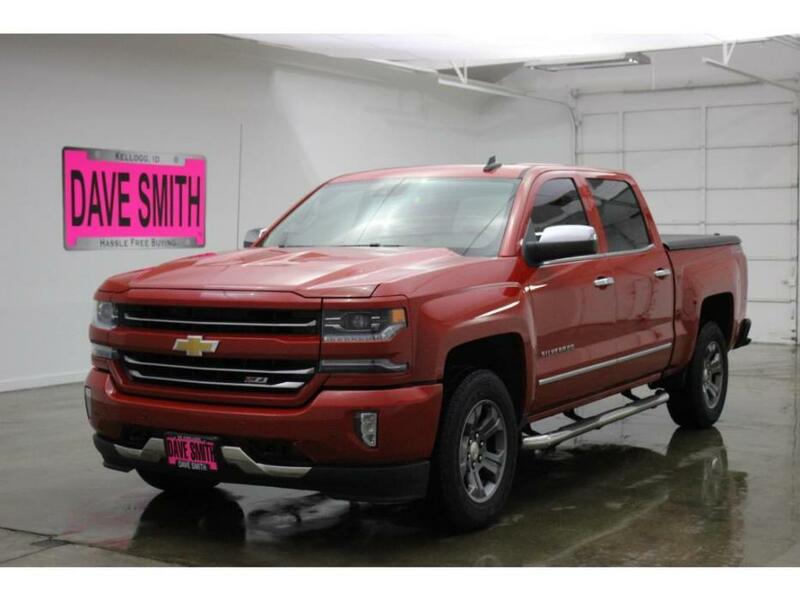 Stop in and take a test drive! 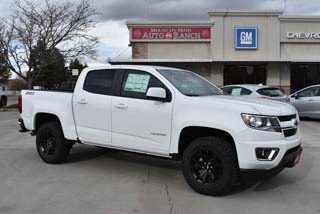 Colorado Z71, Z71, Check out this 2017! Everything you need in a truck, at a price you wouldn't expect! Chevrolet prioritized fit and finish as evidenced by: an outside temperature display, a bedliner, and power seats. 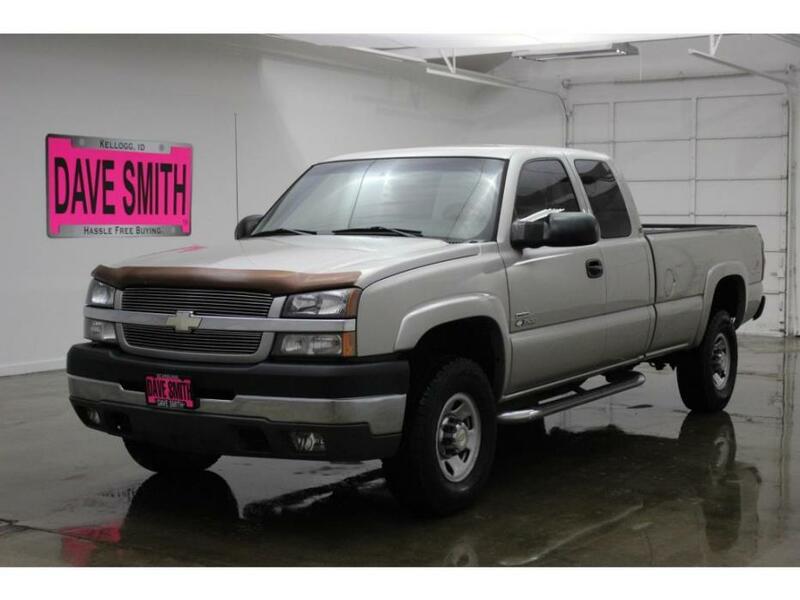 It features four-wheel drive capabilities, a durable automatic transmission, and a refined 6 cylinder engine. Our experienced sales staff is eager to share its knowledge and enthusiasm with you. We'd be happy to answer any questions that you may have. 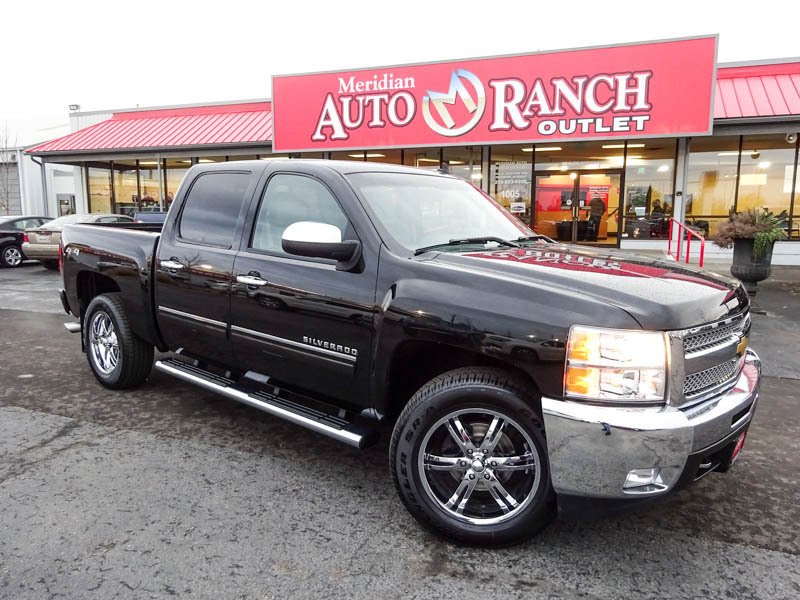 Come on in and take a test drive!, Black Bowtie Emblem Package,CT/DE/ME/MD/MA/NJ/NY/OR/PA/RI/VT/WA Emissions Req,Integrated Trailer Brake Controller,All-Weather Floor Liner,Body-Color Grille,Wheels: 17' Black Painted,Heavy-Duty Trailering Package,Black Spray-On Bedliner w/Chevrolet Logo,Tires: P265/65R17 Goodyear Wrangler AT,Transmission: 8-Speed Automatic Check out this 2017! 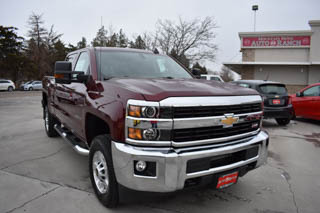 Everything you need in a truck, at a price you wouldn't expect! Chevrolet prioritized fit and finish as evidenced by: an outside temperature display, a bedliner, and power seats. 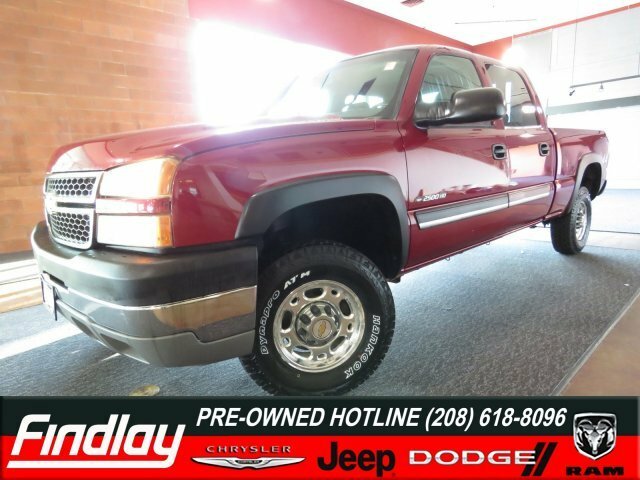 It features four-wheel drive capabilities, a durable automatic transmission, and a refined 6 cylinder engine. Our experienced sales staff is eager to share its knowledge and enthusiasm with you. We'd be happy to answer any questions that you may have. Come on in and take a test drive! 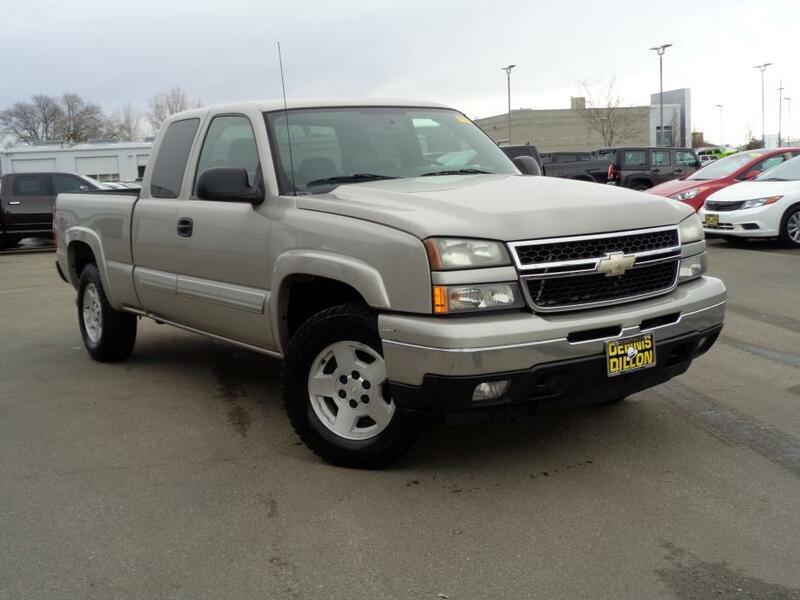 Pickup, 2004 Chevrolet Silverado 3500 Extended Cab LS Pickup 4D 8 FT V8, 6.6L Turbo Dsl Automatic 4WD Comfort and Convenience: Auto Climate Control, Air, Cruise, Tilt, Power Windows, Locks and Mirrors, Power Driver Seat, Bench Split Seat, Auto Climate Control, Dual Climate Control, Keyless Entry, Rear Sliding Window Entertainment and Instrumentation: CD Player, Electronic Compass, External Temperature Safety: Tire Pressure Monitor Exterior: Turn Signal in Mirrors, Power Folding Mirrors, Tube Steps, Tow, Spray Liner, Tint, - 4-wheel ABS Brakes,Front Ventilated disc brakes,Cancellable Passenger Airbag,AM/FM stereo,Painted steel rims,Wheel Diameter: 16,Wheel Width: 6.5,Urethane shift knob trim,Auxilliary engine cooler,Tachometer,Manufacturer''s 0-60mph acceleration time (seconds): 8.2 s,Auxilliary transmission cooler,Passenger vanity mirrors,Daytime running lights,Rear bench,Fold-up cushion rear seats,Tilt-adjustable steering wheel,Power steering,Suspension class: HD,Dual front air conditioning zones,Vehicle Emissions: LEV,Fuel Capacity: 34.0 gal.,Instrumentation: Low fuel level,Clock: In-radio display,Dusk sensing headlights,Torsion bar front spring,Regular front stabilizer bar,Independent front suspension classification,Short and long arm front suspension,Front Independent Suspension,Leaf rear spring,Rigid axle rear suspension,Leaf rear suspension,Front suspension stabilizer bar,Variable intermittent front wipers,Steel spare wheel rim,Spare Tire Mount Location: Underbody w/crankdown,Automatic locking hubs,Curb weight: 6;239 lbs.,Gross vehicle weight: 9;900 lbs.,Overall Length: 246.5",Overall Width: 79.7",Overall height: 76.2",Wheelbase: 157.5",Front Head Room: 41.0",Rear Head Room: 38.4",Front Leg Room: 41.3",Rear Leg Room: 33.7",Front Shoulder Room: 65.2",Rear Shoulder Room: 66.3",Front Hip Room: 61.4",Rear Hip Room: 61.5",Door reinforcement: Side-impact door beam,Engine immobilizer,Cupholders: Front and rear,Door pockets: Driver; passenger and rear,Tires: Width: 265 mm,Tires: Profile: 75,Tires: Speed Rating: S,Diameter of tires: 16.0",Type of tires: AS,Tires: Prefix: LT,Tires: Load Rating: E,Left rear passenger door type: Reverse opening,Rear door type: Tailgate,Right rear passenger door type: Reverse opening,Chrome bumpers,Fixed antenna,4 Door,Driver airbag,Passenger airbag deactivation switch,Cooling; external engine oil cooler; heavy-duty air-to-oil; integral to driver side of radiator,Cooling; internal transmission oil cooler; water-to-oil; integral to driver side of radiator tank (Included and only available with (MT1) Transmission 4-speed automatic; heavy-duty or (M74) Transmission; Allison 1000 5-speed automatic. ),Cooling; external transmission oil cooler; auxiliary; heavy-duty air-to-oil Included and only available with (MT1) Transmission; 4-speed automatic; heavy-duty. 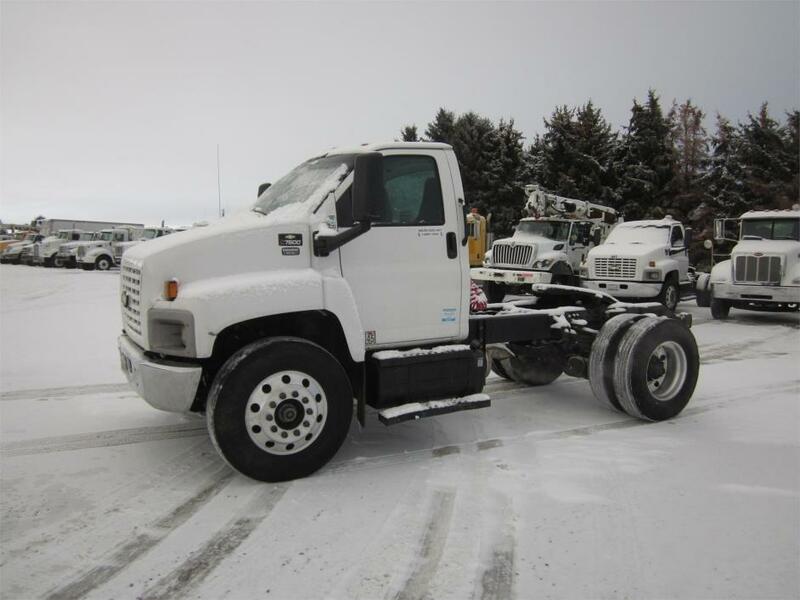 - Included and only available with (M74) Transmission; Allison 1000 5-speed automatic),Transfer case; floor-mounted shifter (Standard with 4WD Models. VERY CLEAN 1952 Chevy PU. 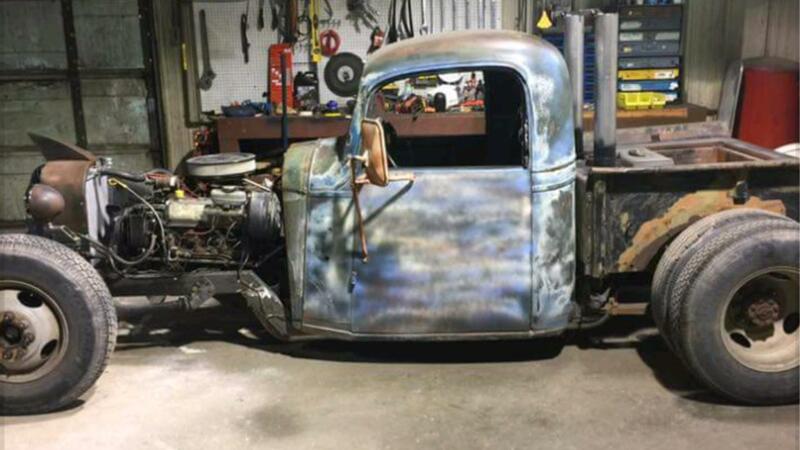 (5 Window) This truck is all original nothing cut up. It was just painted and has a brand new complete brake system even the brake lines. 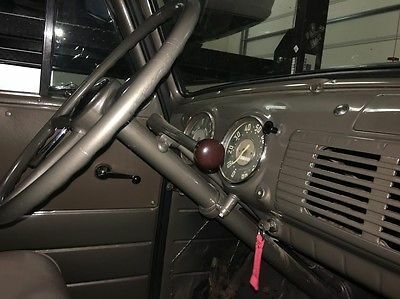 3 speed on the column an floor button Start, No rust anywhere, New tires, New wood bed.